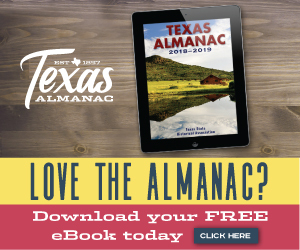 Following is given a compilation of past U.S. senatorial elections in Texas insofar as information is available to the Texas Almanac. Prior to 1916, U.S. senators were appointed by the Legislature. Members of the U.S. Senate serve six-year terms. Abbreviations are: Dem., Democrat; Rep., Republican; Lib., Libertarian; Ind., Independent; W-I, write-in; NLP, Natural Law Party; SWP, Socialist Workers Party; Consti., Constitution Party; Am., American Party; Proh., Prohibition Party; PUP, People's United Party. Held on May 1. Sen. Lloyd Bentsen had resigned to assume post as U.S. Secretary of the Treasury. Runoff held on June 5. * Tower was unopposed in the Republican primary. Held on April 4 to replace Sen. Lyndon B. Johnson, who had resigned to assume the office of Vice President. *For a list of the 65 other candidates, click here. *Change in state law following the 1957 special election required runoff. Held on April 2. Sen. Price Daniel had resigned to run for governorship. Held on June 28 to replace Sen. Morris Sheppard, who had died in office. *The total number of candidates was: 25 Democrats, 2 Republicans, 1 independent, and 1 Communist. Peddy received support from splinter Independent Democrats who opposed Mayfield's ties to the Ku Klux Klan. Peddy's name was not on the ballot and was a write-in, but because of late litigation neither was Mayfield's in some counties, including Dallas County.